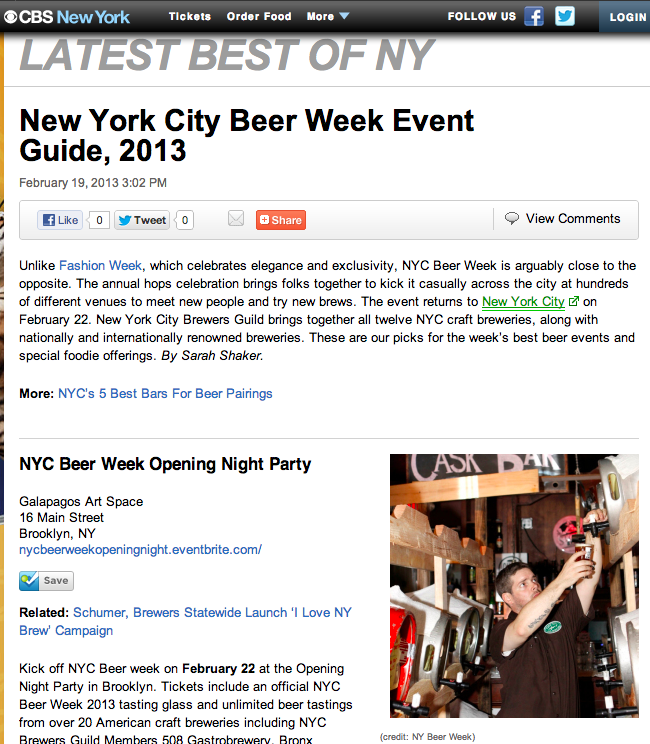 Unlike Fashion Week, which celebrates elegance and exclusivity, NYC Beer Week is arguably close to the opposite. The annual hops celebration brings folks together to kick it casually across the city at hundreds of different venues to meet new people and try new brews. The event returns to New York City on February 22. 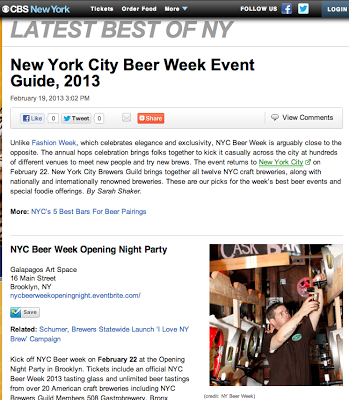 New York City Brewers Guild brings together all twelve NYC craft breweries, along with nationally and internationally renowned breweries. These are our picks for the week’s best beer events and special foodie offerings, like my personal favorite, "aPORKalypse Now"!